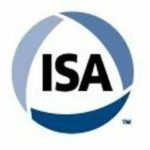 ISA Will-DuPage Board of Directors invites you to submit an abstract for inclusion in the 2017-2018 Technical Presentation and Tabletop Training Sessions. As we continue to focus on increasing the Comprar Calzoncillos Calvin Klein quality of the presentations & training sessions, we will select the best topics submitted by ISA Will-DuPage members and non-members. Proposed abstracts will be reviewed by the Board of Directors, and you’ll be notified of your submittal’s status. Please note that we will only accept technical, non-commercial presentations.